Just arrived new in store. 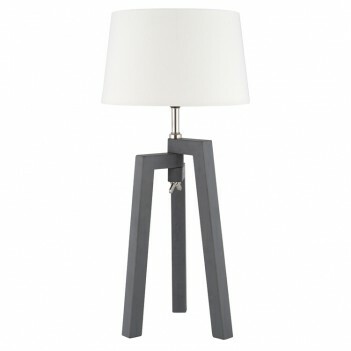 A contemporary styled lamp with white cotton shade over the dark grey tripod legs. Manufacturer recommends a maximum 60W ES GLS bulb. Width 30cm x Depth 30cm x Height 63cm.